This year Lorna, Scott and I attended the Golden Bean in beautiful sunny Port Macquarie. Volunteering as coffee judges we spent most of the days gazing at the crystal waters of the Hastings River from the ‘safety’ of our cupping tables. Over the three days Lorna put her skills to the test, judging multiple categories including Espresso, Single Origin Espresso, Filter (Chemex), Syphon (Steampunk) and a little Milk Based Decaff. I on the other hand spent the entire time judging Milk Based Espresso (Chain Store, Australian Grown and Home Roaster). This year over 1300 coffees were entered in the competition, distributed into twelve categories. The tasting was divided into 6 sessions spanning three days. Both Lorna and I were asked to judge the finals on the Friday afternoon and although a gruelling experience at some points, overall the chance to be involved in tasting such a diverse range of coffees was exciting. Between us we can say there were some truly exceptional coffees on offer. In between cuppings we represented Bennetts at the newly introduced ‘Green Bean Zone’, which showcased some of our new specialty micro lots. Attendees had the opportunity to cup a selection of our coffees, discuss origin characteristics and field any customer service queries with us. We had a great time putting names to faces for many of our interstate customers and hear feedback on our product range and new website. I found the Green Bean Zone was a great way for green bean suppliers to share information not only with their customers, but also with each other. The coffee world is extremely interconnected, and getting everyone in the same room is a beneficial opportunity for sharing knowledge and improving the industry. Also on offer during the days were a host of keynote speakers providing information on coffee insurance, water quality, sugar, beer, Hawaiian coffee, the pod revolution and emerging trends in the Australian and American café market. The seminars were engaging with a topic to suit all attendees. Events were organised most evenings – usually involving beer! 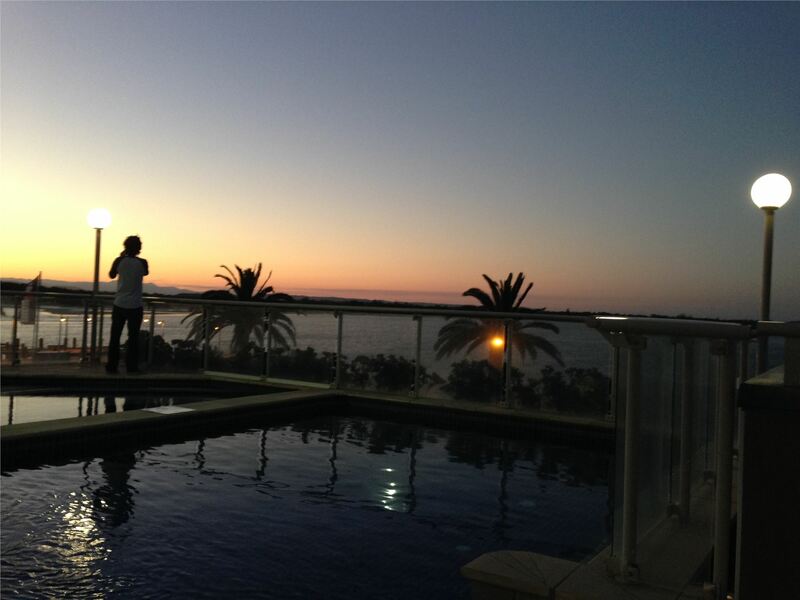 Wednesday night saw social poolside drinks at the Rydges Hotel, sponsored by Chux, set to the backdrop of a beach sunset. 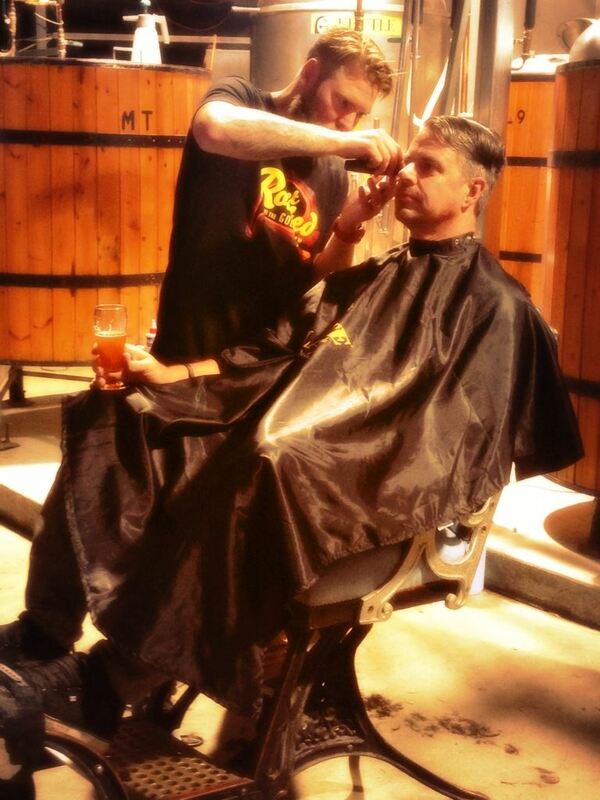 Thursday night took us to the local Black Duck Brewery where beer tasting and burgers were compulsory and barbers were offering hipster haircuts to the willing. Those that survived to Saturday night were invited to the Natvia Golden Bean Awards at St Columbia High School. The night was loud but fun with a ‘back to school’ theme dress code. During the night, author Jillian Adams together with Scott, were given the opportunity to launch their new book A Good Brew, which details the history of the Bennetts family business and a chronicle of Australian tea and coffee trade. The highlight of the night, and the moment everyone was waiting for was the announcement of the Golden Bean Winners. We congratulate all who entered the competition; however special acknowledgement goes to Proud Mary for their overall gold medal win with their Ghost Rider blend. Other gold medal winners of the event were: Fiori Coffee (decaffeinated Latte), Bonissimo Coffee Roasters (Australian Grown Milk Based), Essence of Coffee (Filter Coffee), Nats Coffee (Organic Espresso), Micrology Coffee Roasters (Single Origin Espresso), Veneziano Coffee (Syphon – Steampunk), Tiana Freeman (Home Roaster Milk Based), Sarah Freeman (Home Roaster Espresso), Caffe Coffee (Chain Store Milk Based), Nine Bars (Chain Store Espresso), Code Black Coffee (Espresso), and Coffee Hit as the overall gold winner for Chain Store/Coffee Franchise. Overall, the event was thoroughly enjoyable and well organised. Getting to meet and exchange ideas with some of the most knowledgeable industry members in a comfortable environment is a welcomed change. We would like to thank our customers and supporters once again, and lastly a big cheer to Sean and the Café Culture team for putting on a great event. We look forward to doing it all again next year!